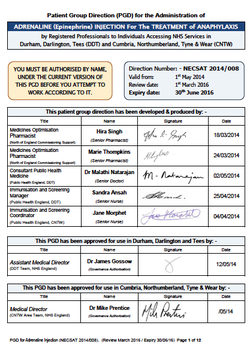 The launch of the national community pharmacy vaccination service seems to be moving closer, PSNC has announced in recently that the wording of the specification has been agreed between NHS England, PSNC and NHS Employers. It will be published once it has passed through NHS England’s internal governance procedures. However, in the absence of a start date for the national service, NHS England – North will be commissioning a local flu vaccination service from community pharmacies across Cumbria and the North East. This will be effective from xxxxxxxxx and will be operational until the national service comes on line. Below are following documents. 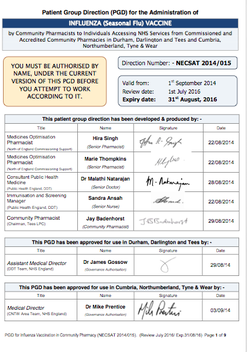 These documents can also be downloaded from www.northernpharmacy.net where you will also find details in relation to training requirements. As well as flu training itself there is a requirement to do Safeguarding Children and Vulnerable adults training, details on the website. 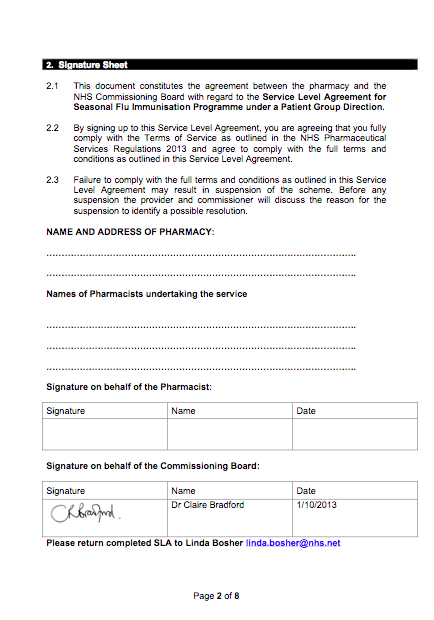 Only on receipt of a copy of the signed signature sheet from the pharmacy will Greg be able to accredit your pharmacy for the flu vaccination service on PharmOutcomes. He will do that as soon as possible so keep a close eye on your accreditations on the system. On accessing the service each participating pharmacist at your branch will be asked to complete three accreditation questions. 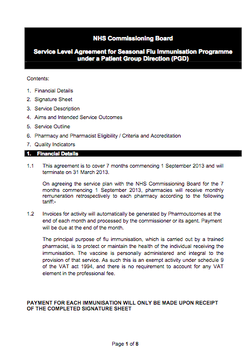 Once that is done the pharmacists will have access to the consultation template. 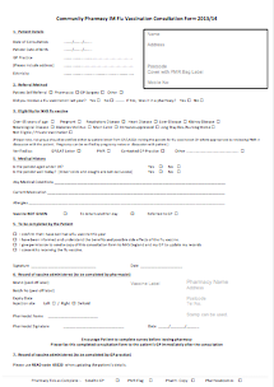 The consultation template is to be used to record the details of every NHS flu vaccination you do. This is very important, for the purposes of audit and also in relation to claiming payment.